Dr. Joyce-Beaulieu’s research interests and publications include applications of cognitive-behavioral therapy in providing intensive-level intervention for school-age and postsecondary student mental health needs. 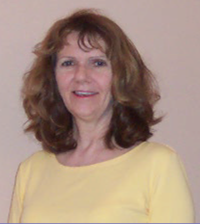 She has authored a text on this topic and also served as co-principal investigator on a professional development grant investigating Response-to-Intervention (RtI) and Multi-tiered Systems of Support (MTSS) methods of school-based interventions delivery for child/adolescent social-emotional and mental health needs. Co-Principal Investigator, Transforming Inquiry and Educational Practice Through Response-to-Intervention (Project TIER), USDOE $800,000. Co-Principal Investigator, Improving Professional Preparation of School Psychologists and School Counselors in a Response to Intervention Model, Florida State Improvement Grant, Bureau of Exceptional Education and Student Services, Faculty Innovation Institute III (FII-3) Project, $30,000. Psychoeducational Measurement Instruments, Graduate Student Lab, Woodcock-Munoz Foundation, Woodcock-Munoz Bateria III, $17,700. Joyce-Beaulieu, D., & Sulkowski, M. (2015). Cognitive behavioral therapy in K-12 schools: A practitioner’s workbook. NY: Springer Publishing. Joyce-Beaulieu, D., & Rossen, E. (2015). The school psychology practica and internship manual. NY: Springer Publishing. Joyce-Beaulieu, D., & Welsh, J., (2014). What are the roles of related service personnel in inclusive schools? In J. McLeskey, N. L. Waldron, F. Spooner, & B. Algozzine. (Eds.). Handbook of effective inclusive schools: Research and practice (pp. 107-117). New York: Routledge Taylor & Francis Group. Sulkowski, M., & Joyce-Beaulieu, D. (2014). School-Based Service Delivery for Homeless Students: Relevant Laws and Overcoming Access Barriers. American Journal of Orthopsychiatry,84. Joyce-Beaulieu, D. & Grapin, S. (2014). Support for those with mental illness beyond high school. Kappan 96(4). Poitevien, C. Sloan, A., & Joyce, D. (2014). The new DSM-5 and Interventions for Autism Spectrum Disorder: What school psychologists need to know. Florida Association of School Psychologists Newsletter 40(2), 38-43. Soutullo, O., Palma, L., & Joyce, D. (2014). DSM-5 Depression symptoms and interventions: What school psychologist need to know. Florida Association of School Psychologists Newsletter 40(1), 34-47. Saklofske, D., Joyce, D. K., Sulkowski, M. L., & . Climie, E., (2013). Models for the personality assessment of children and adolescents. In D. H. Saklofske, C. Reynolds, & V. L. Schwean (Eds. ), The Oxford handbook of child psychological Assessment (pp. 348-365). New York: Oxford University Press. Joyce, D., & Grapin, S. (2012). School Psychologists’ Role in Facilitating Successful Post-secondary Transitions for Students with Disabilities. Communique’, 41(3), 1-22. Sulkowski, M., & Joyce, D. (2012). School psychology goes to college: The emerging role of school psychology in college communities. Psychology in the Schools, 49(8), 809-815. Sulkowski, M. L., Joyce, D. K., & Storch, E. A. (2011). Treating childhood anxiety in schools: Service delivery in a response-to-intervention paradigm. Journal of Child and Family Studies. (DOI) 10.1007/s10826-011-9553-1. Joyce, D. (2010). Essentials of temperament assessment. Hoboken, NJ: John Wiley & Sons. Joyce, D., & Rossen, E. (2010). Personality. In E. Mpofu & T. Oakland (Eds. ), Assessment in rehabilitation and health (pp. 790-836). Boston, MA: Allyn & Bacon.